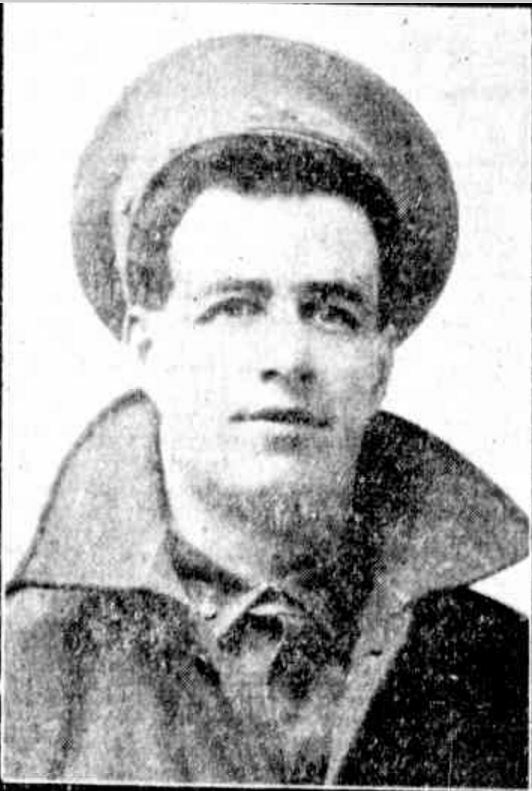 “PRIVATE J. H. MALONE.” Advocate (Melbourne, Vic. : 1868 – 1954) 22 December 1917: 29. Web. <http://nla.gov.au/nla.news-article152183218&gt;. John Malone was born in Hamilton to Michael Malone and Catherine McLoughlin and was the second youngest of twelve children. When he was only two, his mother Catherine died at the Hamilton Hospital aged forty-one. John attended St Mary’s Convent School and later started work as a station hand At the age of twenty-four, John enlisted at Hamilton on 13 June 1916. He went off to camp first at Ballarat from 20 June and then Broadmeadows from 1 July 1916 to join the 57th Battalion 5th Reinforcements. 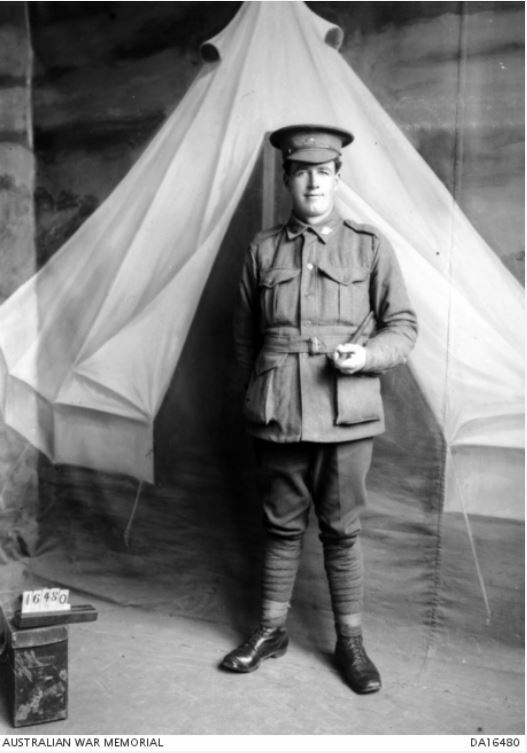 On 19 July, John went to isolation camp at Ascot Vale. He had come in contact with meningococcal but with no signs of infection, he returned to Broadmeadows on 28 July. During his last trip home to Hamilton on 4 August, John prepared a will leaving all his possessions to his sister Josephine with his brother Percy as executor. John sailed on 25 September and arrived at Plymouth, England on 10 November. The reinforcements left for France on 30 December, arriving the following day. On the 6 February 1917, John and 132 other men marched out to join the 57th Battalion who were then at Delville Wood at the Somme, arriving the following day. John was given the task of stretcher bearer. During June the battalion was at Biefvillers-les-Bapaume in northern France but John spent much of the month hospitalised with influenza. 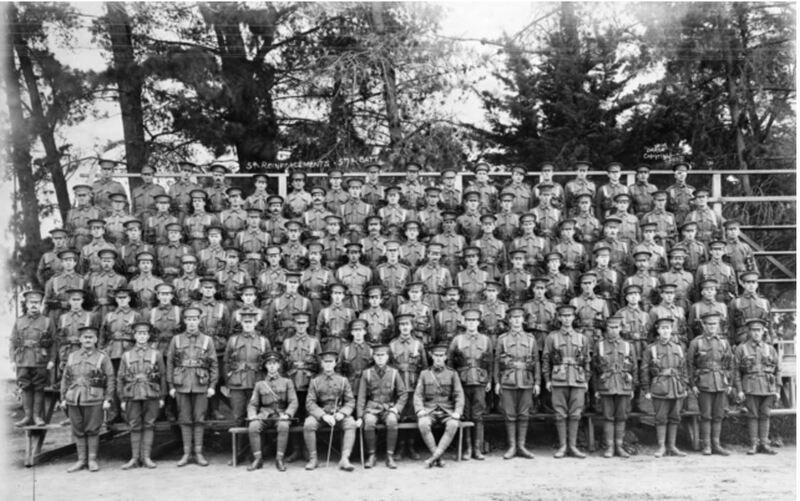 The 57th Battalion started September 1917 at La Belle Hotesse, France until 17 September when they moved to Steenvorde and from 20 September were at the Dominion Camp near Reninghelst, Belgium With the other men of the 5th Division they were preparing for an advance on Polygon Wood on 26 September. On 25 September, the 57th battalion began to advance through Glencourse Wood toward Polygon Wood. Around 9:50 pm at Glencourse Wood they faced heavy enemy fire and there were casualties among the men. 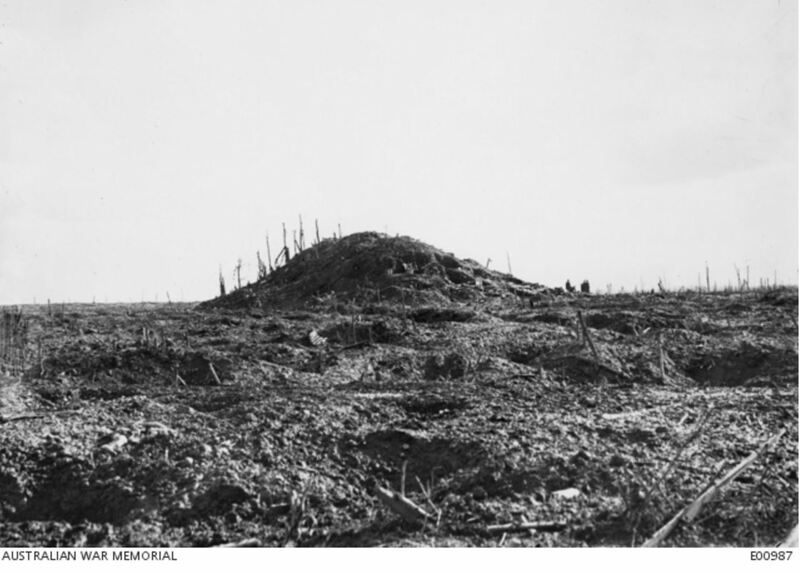 Reaching the proposed marker at 5:50 am on 26 September the 5th Division artillery opened fire and so began the Battle of Polygon Wood. The barrage continued into 26 September as they moved forward, reaching Polygon Wood during the 26th. It was not until 5:00 am on 27 September there was a pause enough to clear the dead. Among the casualties was John Malone killed somewhere near Polygon Wood but his body was never recovered. Despite the large amount of casualties, the battle considered s a victory to the allies. A tree was planted for John along Hamilton’s Anzac Avenue in 1918 and he is remembered on the Hamilton War Memorial. “Family Notices” Hamilton Spectator (Vic. : 1870 – 1918) 26 September 1918: 4. 6 <http://nla.gov.au/nla.news-article119506719&gt;.